Home How to answer self-introduction question (part 1) of IELTS Speaking? As I mentioned in the previous topics, the IELTS Speaking consists of 3 parts. Today we start with Part 1. IELTS Speaking Part 1 is an interview about you. It is also known as the self-introduction phase. The examiner will ask questions about you, your family, your studies, your job etc. There are no right or wrong answers here so just be yourself and don’t over think your answers. You need to speak for at least 4-5 minutes for this section. In today's IELTS playlist, you will learn how to answer self-introduction question (part 1) of IELTS Speaking test. As always, if you need any specific help on this topic simply email us on hello@ieltsonlinepractice.com or post a comment below. Please email us on hello@ieltsonlinepractice.com with your questions. Hi Neeraj, Happy to help. Email me your questions or leave a comment below. I want help is anybody here to help me? Maninder, I’m not sure what you mean. Some people think that the government should pay one of the parents of very young children to stay at home to look after their children. What do you think would be the advantages and disadvantages of this policy? Write at least 250 word. Greetings! this is Madhu here I’ve planned to apply for an IELTS exam in the month of August ,this is my first attempt and i am gonna appear this exam in general category so please help me . I’ve sent you an email with details. 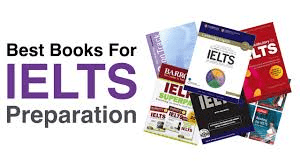 I need a help.Could you please give the perfect plan of how to prepare IELTS in 40 day. I generally find difficulties in writting,so please give me tips about writting that how can i get 7 in writting. Thanks for contacting me on IELTS Online Practice.